USA Cosmetics Clinical Research Laboratory needed for clinical labeling claims testing on 6 nail care treatment products including their ability to nourishment to nails, hydrate nail, provides intense moisture to nail. Interested in this Clinical Research Request? 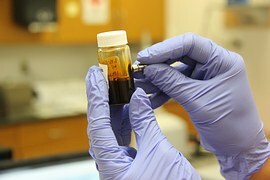 Other clinical research laboratory services. Need Clinical Research Testing or Scientific Research? Save time and money searching. Simply, submit a Clinical Research request to find the laboratories or lab suppliers that best meet your needs.